The 'flipping of a coin' can be traced back to the Romans. Navia aut Caput (ship or head) was their shout on account of the head of the Emperor being on one side of the coin and a ship on the other.A related game, Cross and Pile, was played in medieval England. The cross was the major design on one side of many coins, and the Pile was the mark created by the hammer used to strike the metal on the other side. In 1903, the Wright brothers flipped a coin to see which one of them would take to the air in the first ever powered flight. Wilbur won the toss but his attempt was only partially successful. Orville's later flight was considered the first example of powered flight. One of the most significant coin tosses in the United State's history involved the naming of the city of Portland, Oregon in 1845. Asa Lovejoy and Francis Pettygrove, who owned the claim to the land that would later become Portland, each wanted to name their new town after their respective hometowns of Boston, Massachussets and Portland, Maine. Pettygrove prevailed in the coin flip, and the town was named Portland. A simple toss of a coin has played a significant part in historic events throughout the ages. But enough of the boring history lesson on coin tossing, and onto the Rangers history lesson on why the flip of a coin has played a major part in a few Rangers triumphs throughout the years. 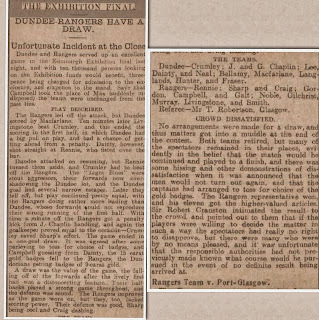 Rangers were victors in a number of occasions by the 'Corner Kick' method, the first coming in the 1917 Glasgow Cup 1st Round in a match against Clyde. A 0-0 draw saw Rangers winning 14-2 on corners. Inevitably though, there would be occasions when the match would end equal in corners also, and this is where the toss of coin came into play. The first Trophy Triumph by virtue of a lucky guess came in 1908. 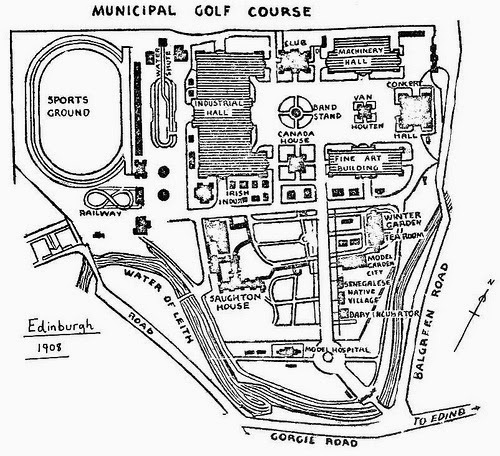 The Scottish National Exhibition Tournament was played at Saughton Park in Edinburgh. 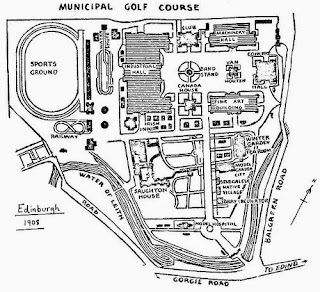 The Exhibition itself ran for six months (May to October) attracting 3.5 million visitors to the 43 acres of Saughton Park. The football tournament was played in August, and it was Dundee who lay in wait for us in the Final after St. Bernard had been disposed of 1-0 in the Semi. 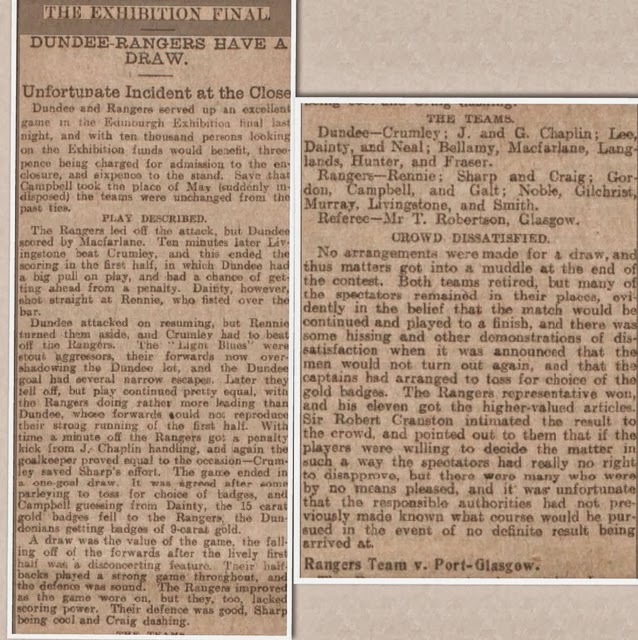 The 12th of August saw 10,000 fans witness a 1-1 draw in the final, with Rangers missing a penalty in the last minute. The spectators, who had paid good money to watch the match, expected the match to continue until a winning a goal could be scored, but after much 'parleying' by the players and officials it was decided a toss of a coin would decide which team got the 15 carat gold badges as opposed to the 9 carat ones. Rangers Captain R. G. Campbell guessed correctly, the Rangers players blazers would be heavier by 15 Carats' worth of Gold Badge. It always warms the heart when good triumphs over evil, no matter the manner in which evil is banished. It's been said in many quarters that Rangers and Celtic fans would go tete a tete over a game of tiddlywinks. The first time the two clubs came to such an occasion was the 1930 final of the Glasgow Merchants Charity Cup. An important match, as Rangers had the chance to complete a historic Clean Sweep of winning every trophy available to them. With the Rangers setting sail for Canada immediately after the final whistle, there was no scope for a replay. The 35,647 fans inside Hampden were treated to a 2-2 draw after 120 minutes. With the corner count being at four apiece, there was no alternative, the destination of the Cup would be decided by the 'tiddly-winking' of a coin in the air, as per the rules. David Meiklejohn faced off with counterpart James McStay in the centre circle. McStay had the honour of throwing the coin, therefore 'Meek' had the job to guess which way the coin would land. He had already guessed correct at the coin toss for the start of the match and at the start of Extra Time. Surely his luck couldn't continue. 'Heads' was his cry and as the dust settled, King George V's bearded face was smiling back up at Meiklejohn! 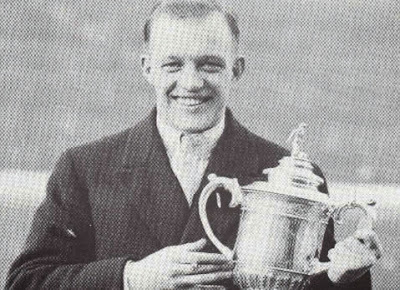 For King and Country, the Charity Cup went to Ibrox as Rangers sailed westbound, having completed the 'World's Greatest Clean Sweep' on the back of the toss of a coin. Flippin' Brilliant! This wasn't to be the only time Rangers would be victorious over Celtic on the toss of a coin. The semi-final of the 1960 Glasgow Merchants Charity Cup saw the match drawn 1-1. Again, a coin was tossed and Rangers progressed to the final where they beat Partick Thistle 2-0 two days later. 'Lucky Rangers' was the headline in the following Monday's Evening Telegraph. The Summer Cup had been won, the sun always shines on the righteous. As the referee spun the coin in the air, it got carried away by the wind. He grabbed the coin before it touched the ground and covered it up. On showing it to both Captains' with the '2' figure facing skywards, Greig and Symon leapt in the air, Willie Henderson did cartwheels around the pitch whilst the trainer Davie Kinnear went to the dressing room to tell those players who could not bear to watch that they were into the semi-final! The Zaragoza captain was seen trudging away with tears in his eyes! A cruel quirk of fate indeed being denied a place in the last four of a European Competition by the tossing of a coin. Unthinkable in this day and age. John Greig was presented with the coin by Kinnear, who managed to talk the referee into parting company with it! Rangers progressed to the final of the competition where Bayern Munich won 1-0 after extra time. We could've been doing with a Coin Toss there! It seems we've been lucky throughout the years with regards to a coin toss to decide the outcome of a match, but we've also been lucky off the pitch when guessing which way a coin will land. Season 1993/94 saw Hampden under re-development, and when Rangers drew Celtic on live television in the Semi-Final draw for the League Cup, it was obvious there was no neutral venue for the tie to be played. After a quick meeting of the Brains Trust in charge of the draw, it was decided the toss of a coin would decide the venue, Ibrox or Parkhead. Walter Smith and Tommy Burns were summoned for the event, and Smith being the gentleman he is, he let Tommy Burns make the call. 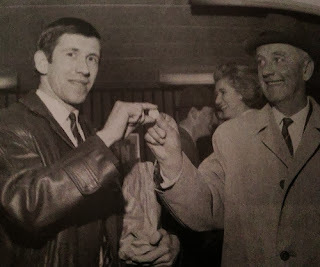 The coin was tossed, the Celtic man won and they were celebrating the semi-final venue being at Parkhead. But hold on a minute! That toss of the coin was only to decide who was going to call on the real toss. Only no-one had told Celtic! With their right to make the call on the 'real' toss, they lost, the semi-final was played at Ibrox with Hateley scoring the goal in a 1-0 victory. Hibs were defeated in the final with that Super Ally overhead kick. Heads We Win! The tossing of a coin to decide football ties was stopped in 1970, when FIFA accepted proposals put to them by the Israeli FA. They had been eliminated from the 1968 Olympic Quarter Final by the drawing of lots. In the same year, Italy won through to the final of the European Championships by guessing correctly the coin toss at the end of their semi-final draw with USSR. The proposals were accepted on 27th June 1970, and the first Penaly Shootout in European Competition was between Everton & Borussia Munchengladbach the following season, Everton winning 4-3. 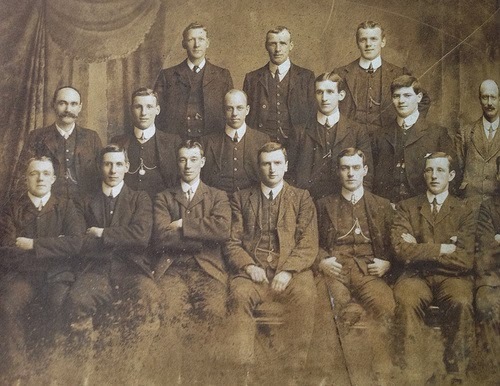 Though the guessing game of the Coin Toss was consigned to history, the history of the Rangers was that wee bit more successful because of it.